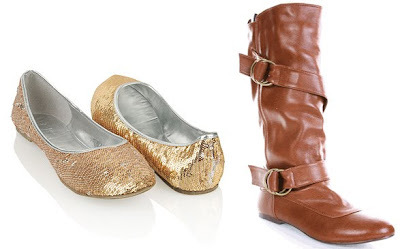 Because they don't show shoes and we are on the cusp of a season change, I thought of two options. While it is still warm outside this sweet little flats ($18.80 - Forever 21) will do the trick. As soon as frost starts appearing on the windshield, throw on some tights and the flat brown boots ($24.99 - AMI Clubwear) to stay warm and fashionable. What do you all think? Leave a comment! Love the look, love the new blog header, and love you! It is kind of fabulous, isn't it? I heart you to Miss K! Nice alternatives. the dress looks great! Love it. 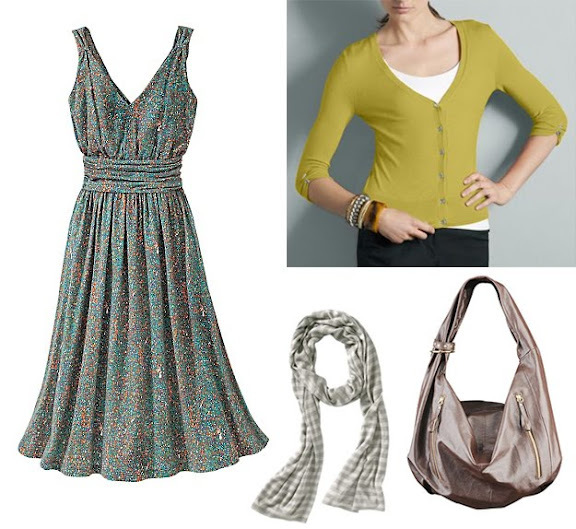 I especially love the dress..... And love the new blog makeouver too! That dress is so unique - great find!